Summer is on the way! And when I think of summer, I think of cool treats. 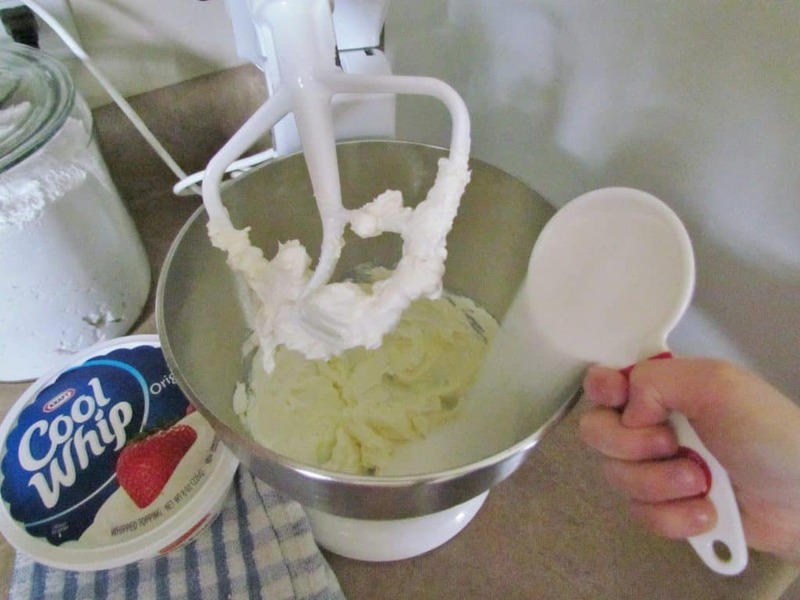 This particular cool treat involves some of my favorite things…Cookies and COOL WHIP Whipped Topping. 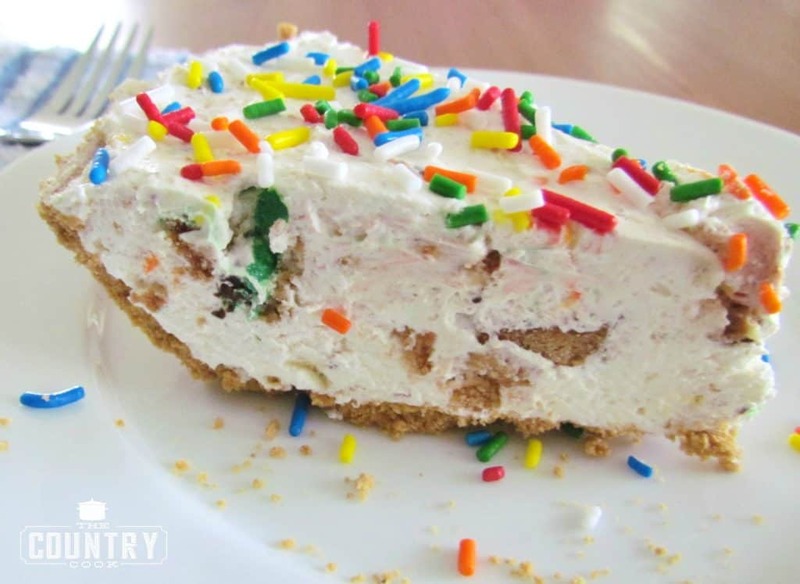 This is a no-bake cheesecake pie that is perfect for kids to help make. They can help break the cookies and add in ingredients. And the most fun? Adding the sprinkles on top. The best part for me is this whips up in a flash. So it makes a perfect sweet treat for a busy weeknight. And I feel like a rock star because I’m making something special for my family. So it’s a win-win all around. You can really tailor this to your family’s tastes. Chocolate cream-filled cookies work great. Or try using a chocolate cookie crust. Lots of fun variations for this. You can serve it right away or let it set in the refrigerator to get really cold and it almost tastes like an ice cream pie. 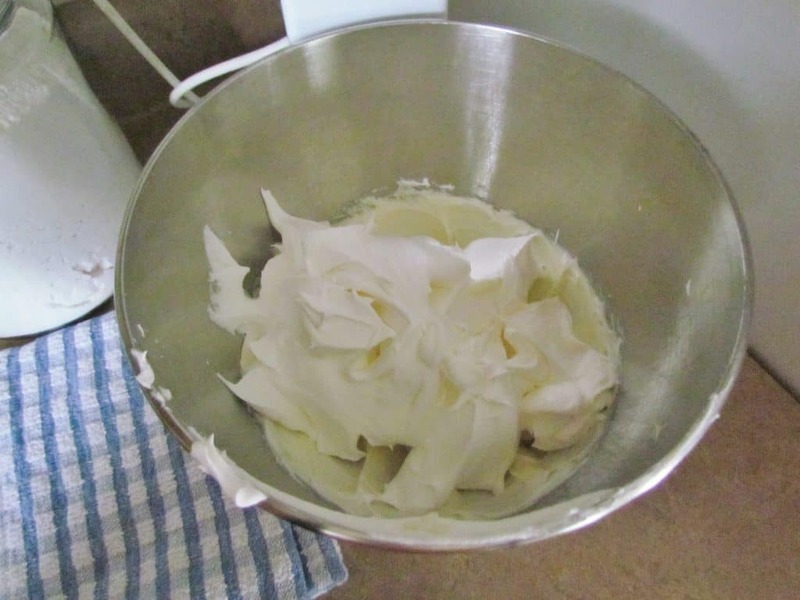 In a medium bowl, beat cream cheese until smooth (this is easiest if you use an electric hand or stand mixer.) Add in sugar and mix until combined and smooth. Little hands are perfect for this part of the job. Stir in vanilla extract. Next, fold in COOL WHIP. If you haven’t done so already, chop up your cookies. Leave them a bit chunky. 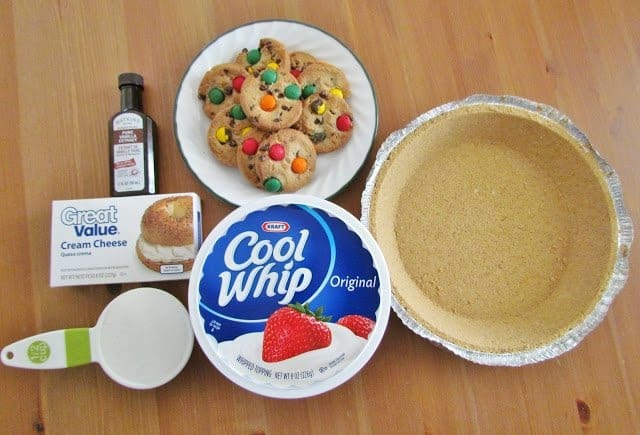 You want to see larger bits of cookie in your pie. Fold in the chopped cookies to the mixture. 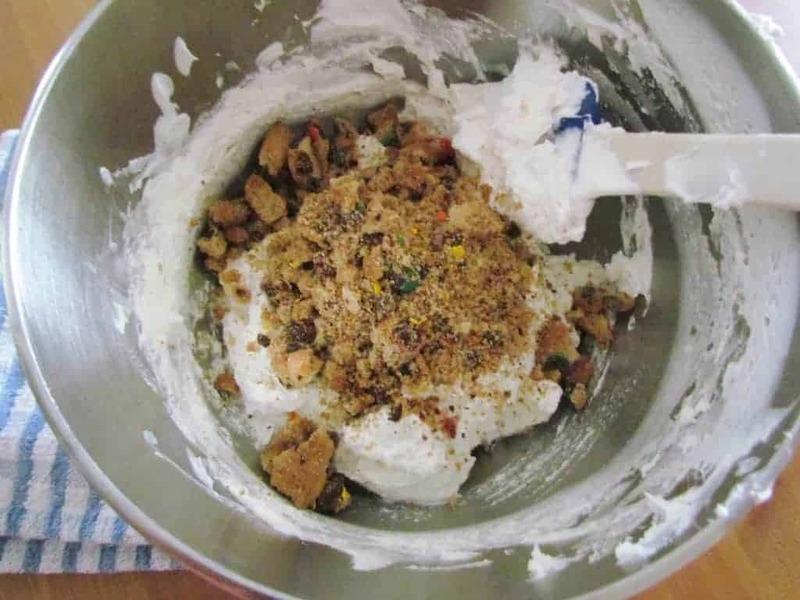 Spread mixture into graham cracker crust. And then add sprinkles. Because everything is better with sprinkles. Put in the refrigerator to cool for a few hours. Then slice and serve. In a medium bowl, beat cream cheese until smooth (this is easiest if you use an electric hand or stand mixer). Add in sugar and mix until combined and smooth. If you haven't done so already, chop up your cookies. Leave them a bit chunky. 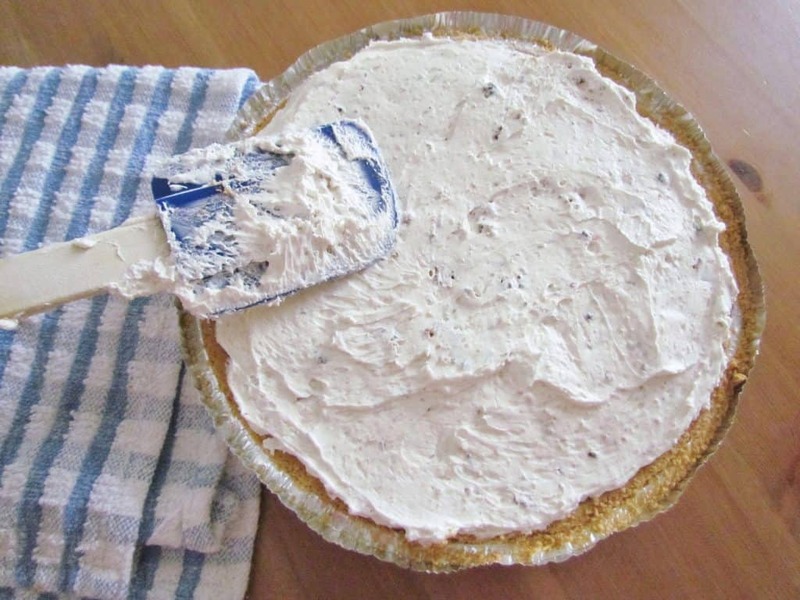 You want to see larger bits of cookie in your pie. Gently stir in the chopped cookies to the mixture. Put in the refrigerator to cool for a few hours. Thanks, Brandie for another great quick and easy recipe! I'm sure my granddaughter and I will love making this! It would also be great with an Oreo cookie crust and chopped up Oreos. The sprinkles make it even more special. Thanks! 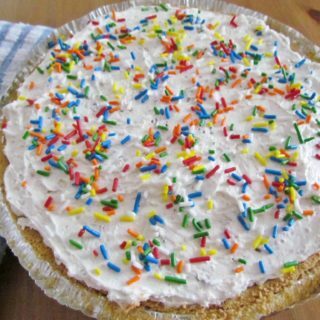 So glad you used those colorful m&m cookies in this pie. I love the colors and they match the sprinkles, too. Yum! 🙂 That's all I've got to say. YUM. Yummy!!! This pie looks so easy and delish for summer. The sprinkles are fun, too! Thanks for sharing with us! such a fun and yummy dessert! love it! Well I had high hopes when I clicked over to this post, and oh my goodness, you have exceeded even my wildest dreams! Rainbow chip cookies are one of my favorite things ever! And this pie looks amazing! My son would definitely love this! It reminds me of a sundae and would be great with just a little drizzle of chocolate syrup! 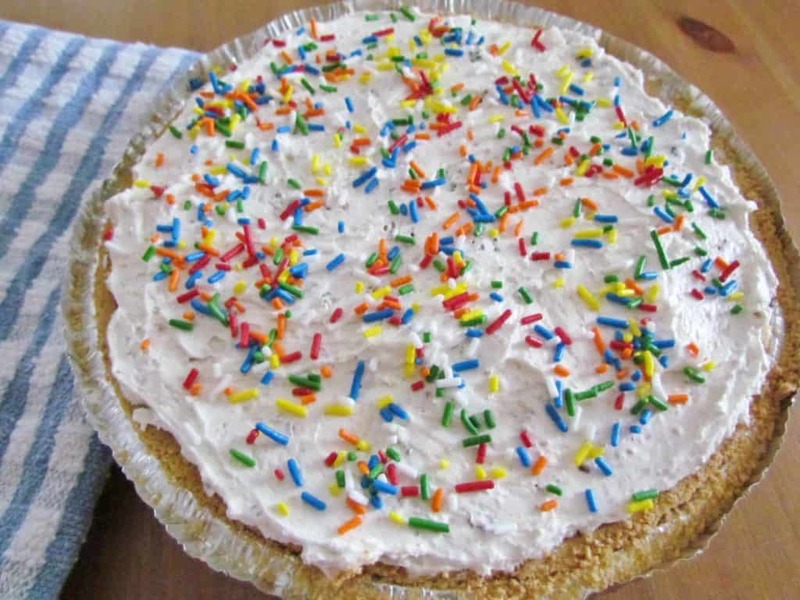 This looks yummy, I love the sprinkles! And I love Cool whip, no matter what anyone says about it! 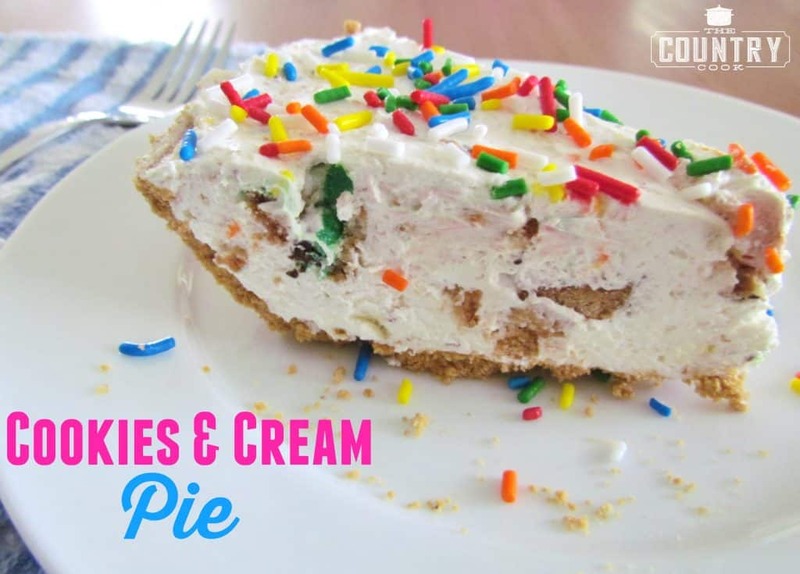 Brandie – this pie looks wondermous! ;-] Your photo is so cool too….hugs! Another hit but I used Oreos. Very versatile pie! My goodness I found this recipe on your site several years ago and used to make it frequently. I guess I must’ve forgotten about it because I haven’t made it in a while. It is delicious and easy peasy to make.